[dropcap]T[/dropcap]he Ultimate in Comprehensive Kits. 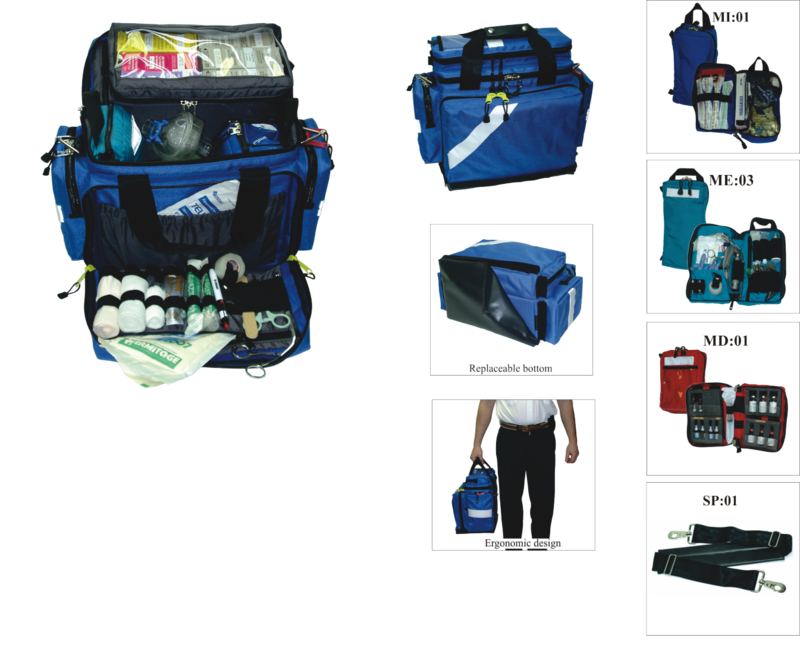 This is the FI:04 Compact Trauma Bag, enhanced with several modules, to make up a comprehensive advanced life support system. This is the bag to go in the door with. Strong, light weight and ergonommicly designed to maximize resources. 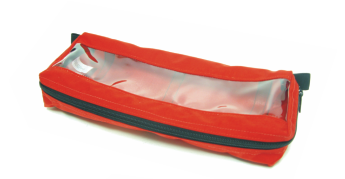 It organizes intubation, IV administration, ampule, vial and preload meds. Throw a B.V.M. in the the main compartment. Trauma and misc. in the front pocket, diagnostic in the top pocket, sharps in the left hand side pocket. You should have all you need for patient care until you are back to the unit. 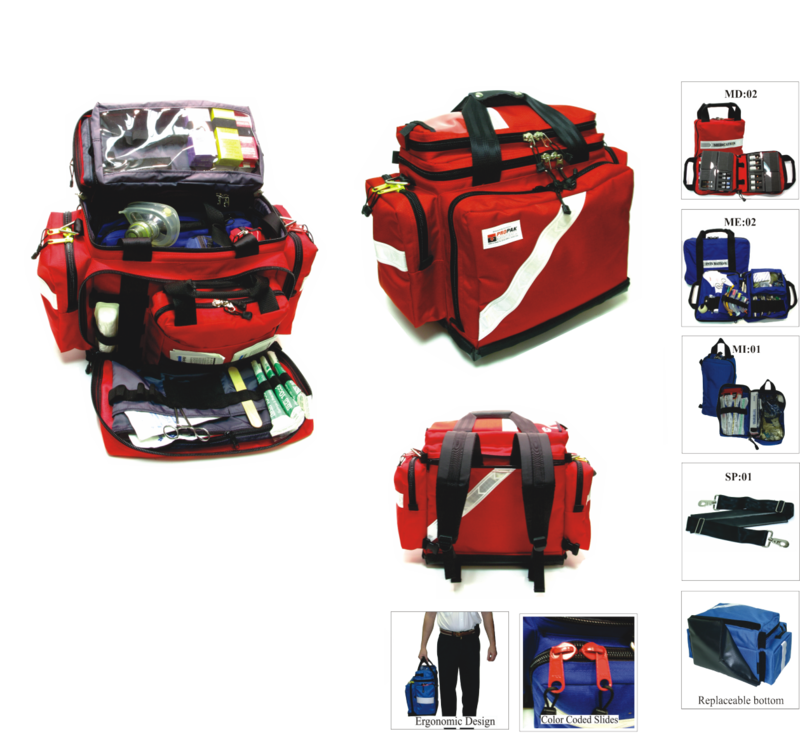 If more is needed the large trauma bag can be called for. An option is for your service to acquire extra modules, so you can replenish the jump kit with stocked modules reducing down time between calls. Then restocking, checking for expiry dates and cleaning of the modules can be done when time permits.